It’s that time of year again when all the latest and greatest gaming projects are thrust into the media spotlight at the E3 gaming expo. The 2012 event has seen some amazing new announcements, from the jaw-dropping visuals of Star Wars1313 to the innovative approach of Microsoft SmartGlass. But what about the mobile gaming market? ● PlayStation Mobile – A brand new version of PlayStation Suite which will work with third-party devices. ● The Amazing Spider-Man – The world’s first 3D rendered open-world game to hit mobile devices. ● Project Dragon – An ambitious new cross-platform MMORPG that will be available on touch-capable mobiles. But what’s new for Android? With the increase of mobile gaming on non-gaming devices, intuitive controls have become a massive consideration and arguably a huge part of the design process. But with the announcement of not one, but two amazing new mobile game controllers, you could be seeing a more traditional control-style coming to Android games… which will undoubtedly make serious Android gaming much more viable. So pick up these controllers and get ready to game – although you might want to make sure you have the best broadband and phone deals for all those new titles you’ll be downloading. 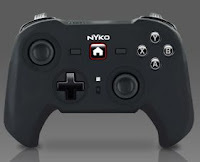 Surprisingly, it seems that NVidia have taken to the mobile market, helping Nyko to design and create the PlayPad – a sleek, slim-line control pad for Android devices. This little beauty is sleek and portable (although perhaps a bit too small for someone with large hands) and has that classic style that’s reminiscent of an old-school NES controller. ● Dual analogue sticks as well as traditional D-Pad, 4 action buttons and 2 triggers (similar to an Xbox controller). ● Control Mapping that allows you to customize the way the controller works, depending on your play style. If you prefer your mobile gaming in tablet form, you can even opt for the PlayPad Pro – a slightly bulkier version that’s perfect for tablet gaming. It’s expected that prices for these controllers will start at around $50 – not a bad price for a piece of kit that’s at the cutting edge of mobile gaming controls. 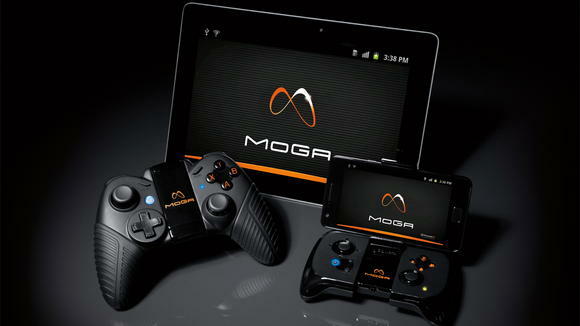 The sturdy, somewhat aggressive MOGA by Power-A represents a step forward in mobile gaming controllers. Veering away from the arcade-style novelties, this controller offers a durable, robust design that just screams ‘next-gen console’. A quick glimpse at the MOGA reveals inspiration from the Xbox 360 – sporting those unmistakable wings and a bulky, flatter shape. So obviously the MOGA is aiming for the more traditional gaming market, but what does it bring to the table? 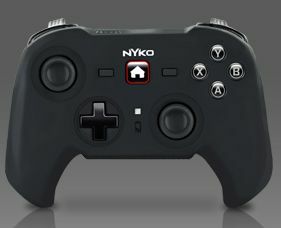 ● Dual analogue sticks, 4 action buttons and 2 triggers (although the distinct lack of D-Pad raises an eyebrow here). ● Specially designed grips to clamp the controller to your phone. ● …and a handful of others. It seems this fatal flaw is likely to be the MOGAs downfall. The bulkiness and sheer weight behind the controller is impressive and feels just perfect. But when it comes to functionality, the PlayPad is simply light-years ahead, providing an infinitely more flexible control system. Of course, Android gaming isn’t for everyone. It’s not exactly the most popular form of mobile gaming and most gamers would rather look to the PSVita or the goggle-eyed 3DS for a quick fix. So if your Android escapades only go as far as a sneaky round of Angry Birds when your boss isn’t looking, these controllers just aren’t worth the money. 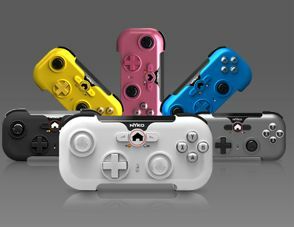 But for serious Android gamers (and yes, that really does happen), these innovative controllers provide a level of responsiveness that you’ve previously only dreamt about. You can say not old school, but that one just makes me want to get my fingers around it. The buttons make sense and it just looks like it feels right. Not too much snazz, but a lot of control.